Growing up in the church, I was always told God was good and that He loves us, and I didn’t question it for a second. It wasn’t until I was an adult enduring infertility that I began wrestling with those concepts. I wanted answers. Answers from doctors and from God, and I wasn’t getting any from anyone. I found myself bitter, angry, and confused. All I wanted my entire life was to be a mother, and it didn’t look promising. I searched the scriptures. I prayed. I sobbed on my living room floor, grappling to understand what God could be doing. I couldn’t find peace and was resentful. In despair I watched friends and family share pregnancy and birth announcements. I found myself constantly frustrated wanting to control anything that I could and avoided women’s gatherings not being able to bear any more talk about child rearing. It wasn’t until I did a study about abiding (resting) in Christ that I came to a place where I understood God’s heart regarding my suffering. Oh. He wasn’t being spiteful or showing me that I had upset Him. He was asking me to come to Him, like a child running to their father for protection. 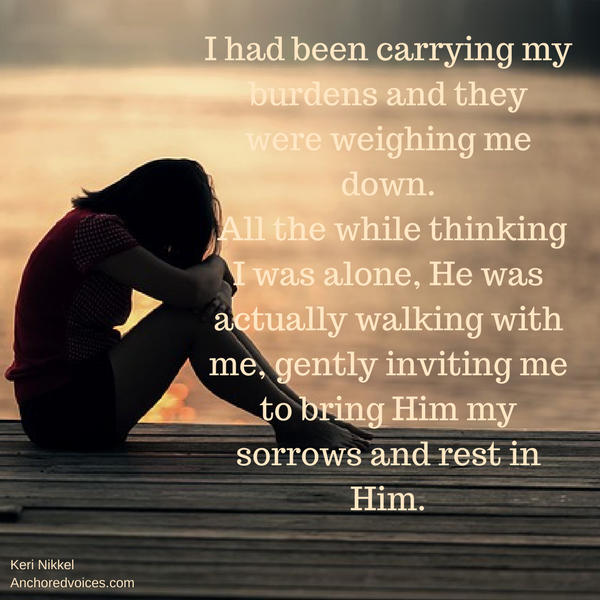 I had been carrying my burdens and they were weighing me down. All the while thinking I was alone, He was actually walking with me, gently inviting me to bring Him my sorrows and rest in Him. I won’t pretend that my heart changed overnight, and that magically my bitterness and frustration disappeared. 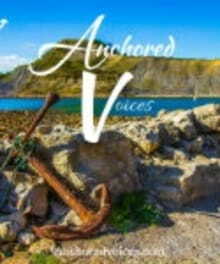 But with each day choosing to trust God with my deepest desires, He drew me deeper into peace with Him. After placing my hope in Christ instead of an answer, my heart was filled with joy in what had been the most painful time of my life. Our God is a God who redeems, He did have a plan for me to be a mother although it was not the way I initially anticipated. Our whole journey was preparing us for adoption, and I am so thankful for it. Had I held onto my pain and bitterness I would not have been open to what has become my greatest blessing. Yes, at times I do still mourn not bearing a child. But, now knowing I can trust God with my deepest desires, I know that His plan is greater than my own I have found peace in His will.